If you’re bored with the standard games of poker and want to take your gambling skills to the next level, there’s no better way than joining a poker game mix. The elite of the table card games is the 10 Game Poker Mix organized by Full Tilt casino. What Is A Poker Mix Game? Mixed games of poker represent tournament sets of different types of poker played in a certain rotation order and different numbers of hands. The action is very dynamic and the players usually are rookies. They’re incredibly attractive games if you’re in the game it to make some quick cash. Mixed games are considered a supreme test for players because they’ll have to play different types of poker which require various skill sets. It’s a challenge and a way for the pros to disrupt their standard routines. Mixed poker games have several stake limitations, various structures, and blinds. Players should always be aware of the type of poker game they’re playing. You can easily get confused and play Stud with strategies you would apply to Razz. You should figure out what poker games you can ace and on which ones you can at least break even or reduce your losses. Focus on developing a mixed poker strategy and tweak your style. Study your rivals to identify their patterns and weaknesses and use them to your advantage. During the poker games which you’re an expert on, you should pile up on your bankroll so you can cover your weak points in other types of poker games. Do some online research before the mixed game and study the rules and strategies for each type of poker. Use online casino sites to test and improve your skills. During online mixed games you should use the notes feature so you can record the specific patterns of each player. A player may adopt a TAG style in a Texas Hold’em game but use a LAG style in a Stud poker round. When you’ve done your homework and you consider that you’re ready for the 10 Game Poker Mix, you should join the mixed game provided by Full Tilt. It’s the largest and most dynamic mix game of poker worldwide. Full Tilt has set up a dynamic combination of 10 poker games including Fixed Limit Texas Hold’em, Fixed Limit Stud Hi/Lo, Pot Limit Omaha, Fixed Limit 2-7 Triple Draw, Fixed Limit Razz, No-Limit Hold’em, Fixed Limit Stud, No Limit 2-7 Single Draw and Fixed Limit Badugi. The 10 game poker mix begins with Hold’em and ends with Fixed Limit Badugi. Because the mix comprises both fixed limit and no limit variants of poker, everything is more complicated for beginners. Wagers range from as low as a few cents to a few thousands of dollars. In Fixed Limit Texas Hold’em, wagers double on each turn and you should focus on high-value pots. Opponents will probably be folding at the end. Fixed Limit Stud Hi/Lo is a spin-off of the 7-card type of Stud poker game where the pot is divided between the highest value and lowest value hands during the showdown. In Pot Limit Omaha poker, the rookies usually overestimate their hands. When you’re playing Fixed Limit 2-7 Triple Draw, you need to achieve the lowest possible hand and high aces during 3 draws. Don’t focus on flushes and straights and aim for the 2, 3, 4, 5 and 7 combination. Beginners always confuse an Ace for a low card. Fixed Limit Razz is a variant of Stud and players focus on getting the lowest 5 cards. Aces count as low-value card in Razz. Your best hand is the wheel which includes a combination of one Ace and 2, 3, 4, 5 and 7 cards. 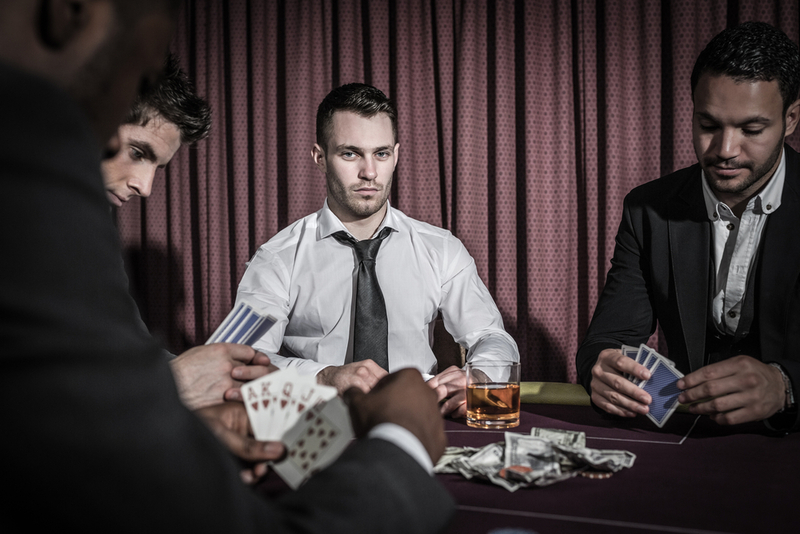 No Limit Texas Hold’em is the high-end and most dangerous variant of poker. Focus on betting big and being aggressive to guarantee wins. During Fixed Limit Omaha Hi/Lo you can try your luck using both high-value and low-value hands. Begin with low hands and study your opponents’ reactions. Fixed Limit Stud Hi can only be won with a high-value hand. The No Limit 2-7 Single Draw is incredibly challenging because you should aim to have a low aces hand and avoid flushes or straights. Limit Badugi involves landing four low-value cards from separate suits and make as many draws as you want. Mixed poker games will shake up the lifestyle of the most professional player in the world. It’s an incredible way to overcome the routine of standard poker tournaments and get a pure adrenaline rush. In the end, that’s what gambling is all about. Test your skills and challenge your mastery in poker by joining the 10 Game Poker Mix offered by Full Tilt.